B Corporations (known as B Corps, for short) are companies that “use the power of business to solve social and environmental problems.” As of June 2015, there are now more than 1,300 certified B Corporations, in 41 countries and 121 industries (twice as many industries as were represented a year ago). Among the larger and most well-known companies that are certified B Corporations are: Ben and Jerry’s, Method, Patagonia, Seventh Generation, Sungevity, The Honest Company, Natura, and Etsy (which recent became a publicly traded company). 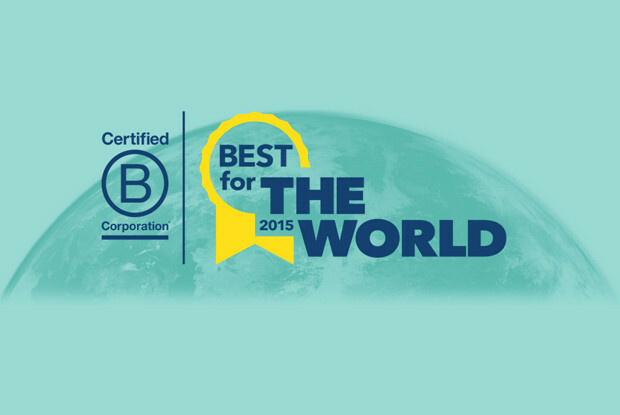 Each year, B Lab recognizes a group of B Corps as “Best for the World” honorees. These companies have earned an overall score in the top 10% of all certified B Corporations on the B Impact Assessment, a rigorous and comprehensive assessment of a company’s impact on its workers, community, and the environment. These are businesses that go beyond simply being benign or reducing their harm to society; they make significant efforts to be beneficial and even benevolent. There are also categories for Best for Community and Best for Workers. Click here for stories about some of this year’s Best for the World companies. Also follow the B Corps blog and B The Change Media, a new media hub for stories about B Corporations and benefit corporations.